Keen to promote both engineering and the company to local area of Filton Bank, Site Engineer Muna Alkaabi has assembled a group of volunteers and started on a programme of school visits to inspire the next generation. 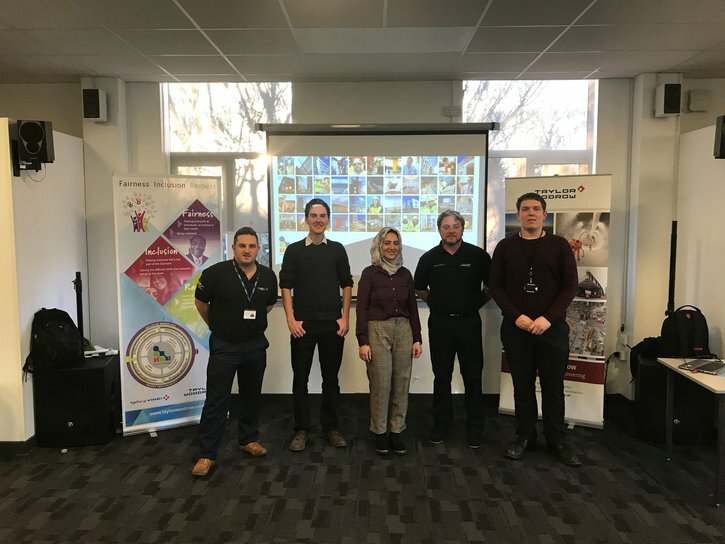 The first visit took place last week and included a presentation focused around breaking the stereotypes of the industry, promoting the difference that it makes to society, and sharing the different routes into a career at Taylor Woodrow. It was a success, with a number of students commenting that they weren’t aware of the many roles and opportunities the industry has to offer. Placements are being arranged for some of the students to help broaden their knowledge further and arrangements are being made for the next school visits. It’s great to see our teams reaching out to the local community and helping to inspire the next generation!